(Newser) – Initial elation at finding 12 boys and their soccer coach in a Thai cave has since turned to concern at not being able to immediately extract them, and sadness after a diver bringing supplies died during his exit. Now, per the BBC, renewed hope joins those emotions after Tesla and SpaceX CEO Elon Musk stepped forward to offer the services of yet another one of his businesses, the Boring Company. "Boring Co has advanced ground penetrating radar & is pretty good at digging holes," Musk tweeted Thursday, adding another option was for his group to "dropship fully charged Powerpacks and pumps." 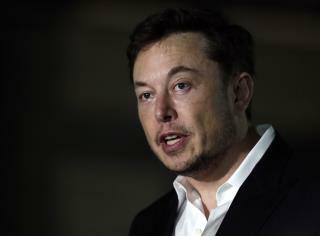 The idea of Musk lending his assistance appears to have been sparked Tuesday by a Twitter user who asked if Musk would lend a hand, to which Musk mused, "I suspect that the Thai govt has this under control, but I'm happy to help if there is a way to do so." Elon is an idiot and not brilliant. the story was the kids could possibly spend more than 4 months...waiting for after the rainy season, so Elon stepped in . good for him, but better for the kids trapped because it made those responsible over there to get it together. and they did, they are all safe. Time, Elon it is the rainy season. If they had the time to implement such yea great.